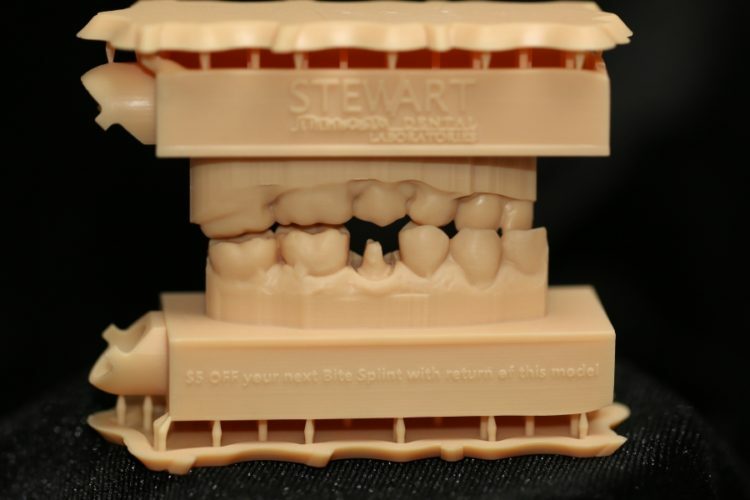 We are now printing all Inter-oral scans and 3D models out of a new model material resin using our 3D printed. It has a orange/peach hue to it which makes it an ideal color choice for seeing surface texture and to resemble original model stone material. Also if you look close enough at the models you receive from us you might see something that will benefit you or your practice. If you have not received a 3d model from us, you are more than welcome to come by and see the printer in action or see the materials we aare printing.